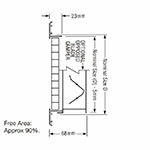 DIMENSIONS The dimensions listed in the product title will be the NOMINAL SIZE. 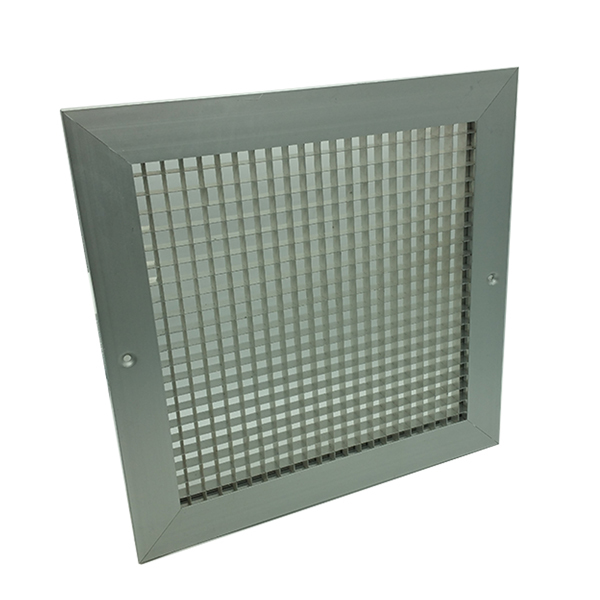 The grille will have a border of 22mm all around the edge. 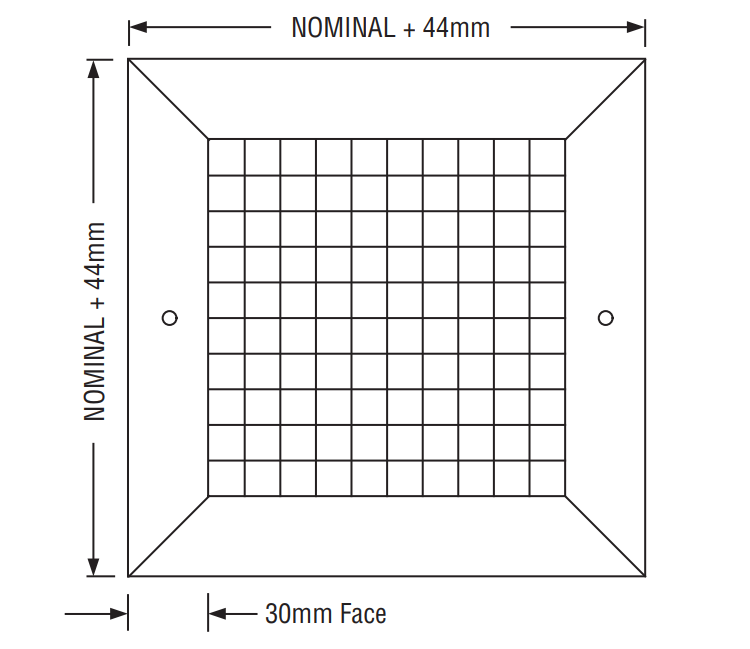 Making the total size of the grille equal NOMINAL SIZE (as in the title) + 44mm. 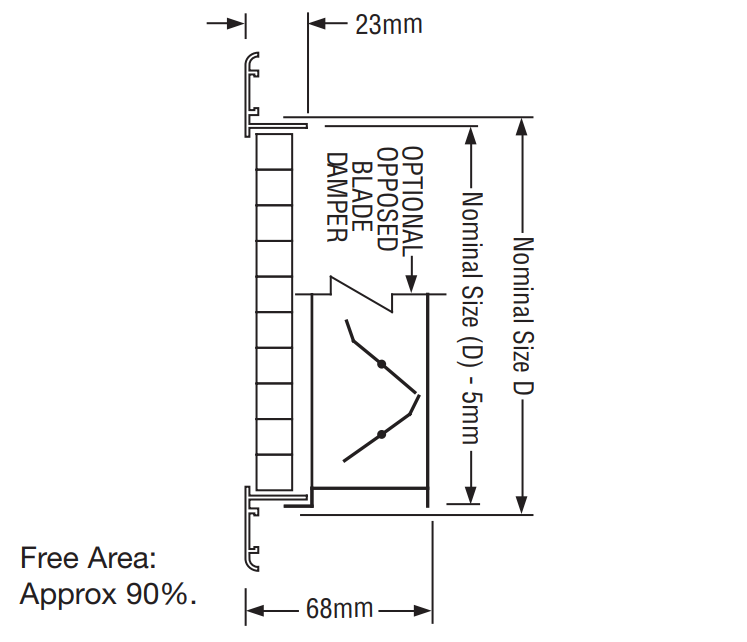 Please contact us or ask a product question if you require more information. 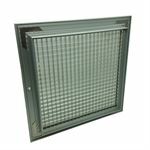 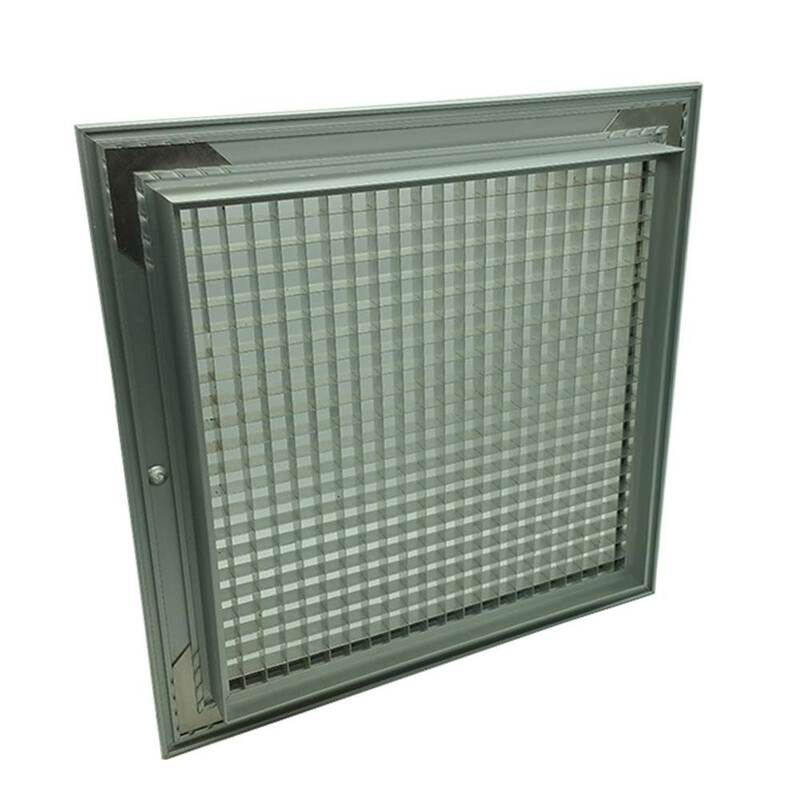 Eggcrate grilles have a 13mm x 13mm square core and with their high free area are ideal for return air applications. 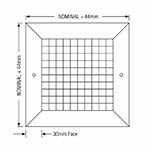 Supplied as standard with countersunk holes for fixing (except 595 x 595 overall ‘tile replacement’ sizes). Eggcrate grilles with removable or hinged cores and disposable filter panel are available to special order.